Drake hops on IG and talks about various scenes in his moving new "God's Plan" video. The video, which was directed by Kerana Evans, finds the Toronto rapper giving away its million dollar budget to those less fortunate in Miami, Florida. The 6 God decided to document his philanthropic efforts, such as giving $50,000 to a Miami college student, donating $25,000 to a Miami high school, buying food for an entire grocery story and giving stacks of cash to some families in need. “We’re nothing without our mothers, so thank you,” Drizzy tells one family. 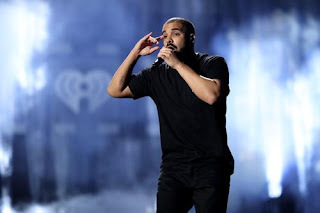 Now hours after the release of the touching video, Drake decided to hop on Instagram Saturday afternoon and talk about various scenes from the video. Sharing numerous photos from the set, Drake captioned each one with a different story or moment that went along with it. One of the more touching moments in the video is when Drake hands a mother & son a stack of cash, to which he says was also the toughest scene for him to shoot. “This was the toughest scene for me to try and keep it together. Mother and son with some of the strongest spirits I have encountered in my life. I pray you two continue to find the light and the fight within your bond. Blessed to have met you both 💙,” he said. In addition, Drizzy also thanked everyone from Miami U and the Fire Station 7 for their help. Pulled up playing G Dep.